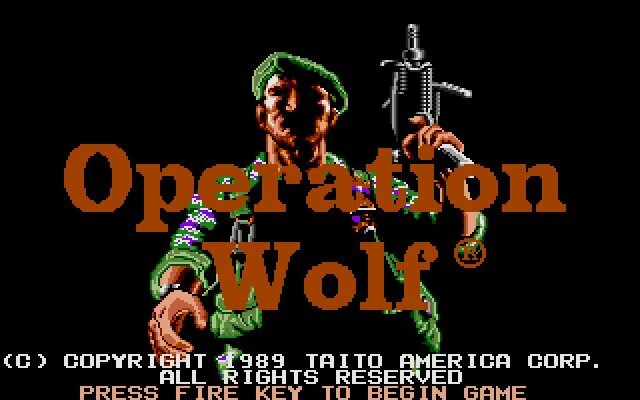 Operation Wolf is an old shooting gallery shooter game released in 1989 by Taito and developed by Taito. 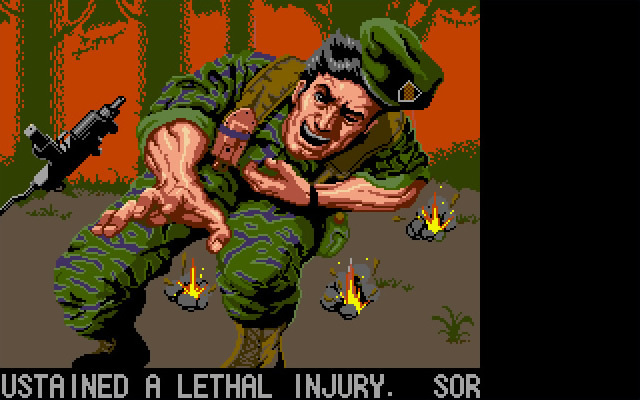 Operation Wolf is currently abandonware and runs on DOS. 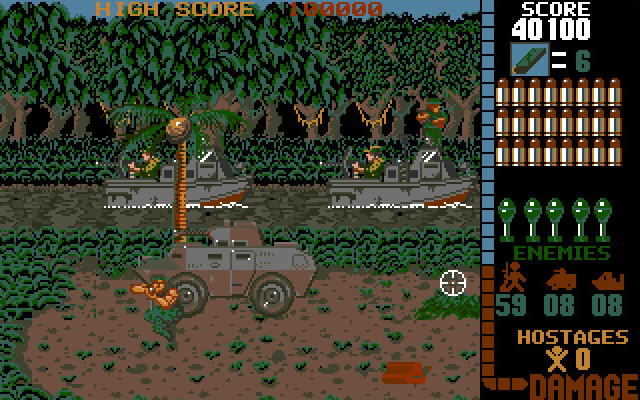 Operation Wolf is a conversion from an arcade coin-op machine. It's available for download. 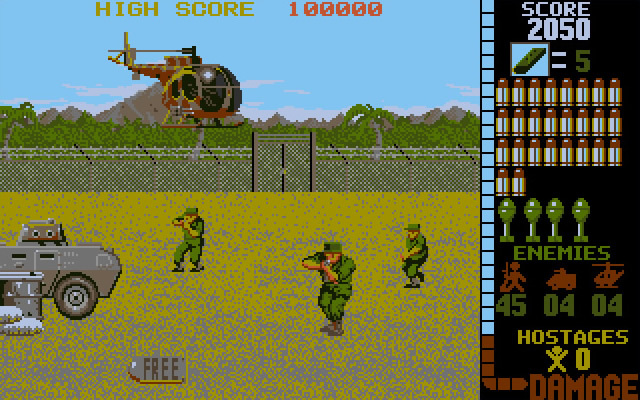 "Operation Wolf was a hit in the arcades, but I never played it outside my home. 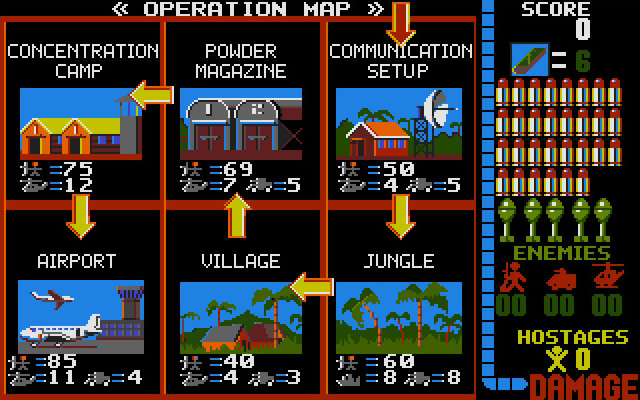 I used to play Operation Wolf first on a Commodore 64 (and yes, I enjoyed it) and later on an old PC. 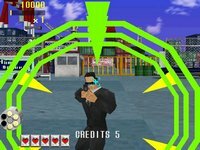 What I really loved was the smoothness of controls and the flow of the action. 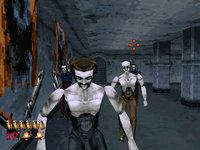 Levels are short enough and enemies comes at you at the right pace. It feels like the playtesters did their job." Tell others what you think about Operation Wolf: did you play it? Did you like it or hate it? If you have problems running Operation Wolf, please read the F.A.Q. first. Your e-mail will NEVER be used for spam. 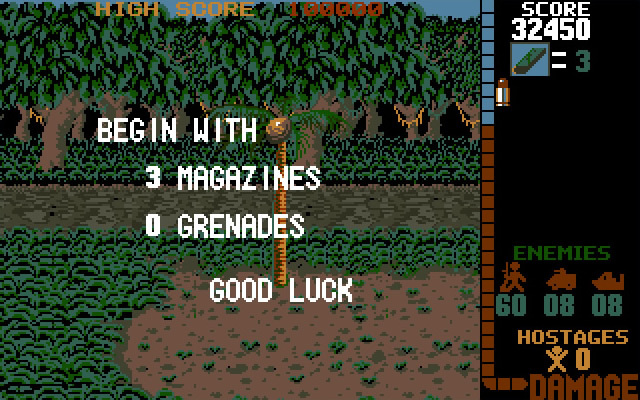 1988 - Best Coin-Op Conversion of the Year, Golden Joystick Awards.